love this podcast. so informative and entertaining. An engaging & informative podcast with timely topics. Kai and Molly are a fantastic pair. The writing and production are as good, or better, than anything else out there. We're headed for the biggest year of IPOs since the '90s dot-com boom. Lyft just went public, valued at $26 billion, with Postmates and Uber set to follow. Vested employees will become overnight millionaires, but what about the millions of independent contractors who deliver the food and drive the passengers? Lyft relies on its 1.4 million freelance drivers who earn, on average, $17.50 per hour with no benefits or organizing power. What's that mean for the U.S. workforce? We get smart on the gig economy with Kristin Sharp, executive director of the Shift Commission at New America, a nonpartisan think tank. She leads a project on the future of work. Here's a link to Molly Wood's news fix on living with a foldable phone. By the way, our fundraising drive for Make Me Smart ends this Thursday! Because we're all in this together, right now you can get a Make Me Smart sticker with a donation in any amount. Don't wait, donate today! This week's episode is brought to you by Triplebyte and Wasabi Hot Cloud Storage. When Robin Steinberg and David Feige were public defenders in New York, they saw thousands of clients — often poor people of color — stuck in jail because they couldn't make bail for minor offenses. They started the Bronx Freedom Fund to pay that bail and help people stay in their jobs and with their families while awaiting their day in court. Now they're going national with The Bail Project. We talked with the husband-and-wife team about the economics of criminal justice reform. First though, this week's news fixations: the bond market and (yes, more!) privacy on Facebook. 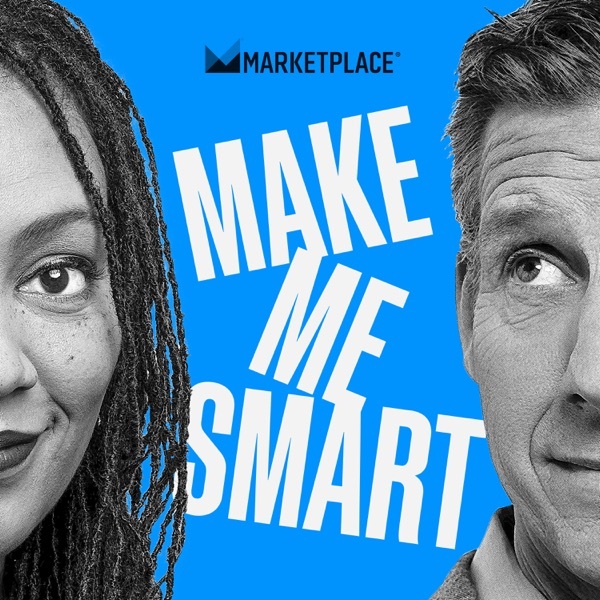 Subscribe to "Make Me Smart"